Need a little extra traction and control on Arlington roads? Volkswagen offers a range of stylish utility vehicles like the Atlas and Tiguan, complete with available 4MOTION® all-wheel drive. Whether you’re shopping for an SUV or hatchback, you’ll enjoy all the comfort of a VW — backed by powerful all-terrain performance. Get to know the new Volkswagen AWD models below! The Atlas V6 S, V6 SE, V6 SE R-Line, V6 SEL, V6 SEL R-Line, and V6 SEL Premium trim levels are available with all-wheel drive. Standard features for the Atlas V6 S with 4MOTION® include a Blind Spot Monitor & Front Assist and VW Car-Net® App-Connect. The Golf Alltrack S, SE, and SEL come standard with Volkswagen 4MOTION® and an Off-Road Mode so you can travel off the beaten path. The Golf R is available in one trim: Golf R with DCC® and Navigation. In addition to all-wheel drive, it includes a 288-hp 2.0L turbo engine, DCC® adaptive chassis control, and VW Digital Cockpit. The Golf SportWagen S with 4MOTION® includes a 170-hp 1.8L turbo engine and luxuries like heated front seats and LED taillights. All-wheel drive is available for the Tiguan S, SE, SEL, SEL R-Line, SEL Premium, and SEL Premium R-Line trim levels. Standard features include a 6.5-inch touchscreen and VW Car-Net® App-Connect. The Tiguan Limited is powered by a 200-hp 2.0L turbo engine, and includes a rearview camera and an optional premium package. How Does 4MOTION® All-Wheel Drive Work? Unlike four-wheel drive, all-wheel drive is always working and doesn’t need to be switch on or off. 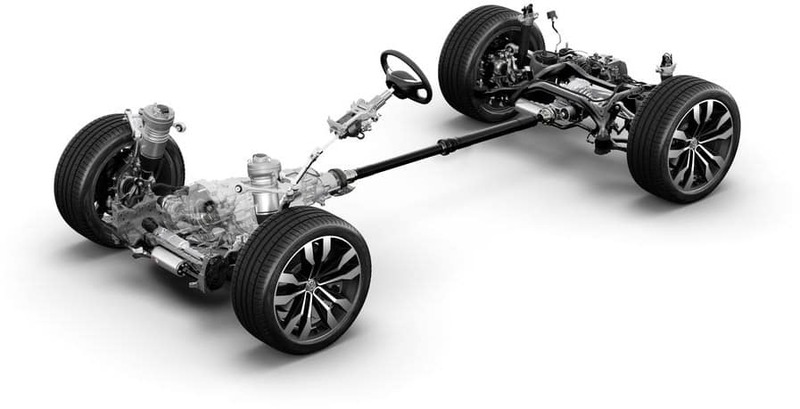 The 4MOTION® AWD system offers all the benefits of AWD — and then some. Using sensors, the system can detect which wheels and tires are losing traction and sends a power boost. Additionally, 4MOTION® takes a page from 4WD’s book and can switch to front- or rear-wheel to maximize fuel economy wherever possible. Whether you’re running errands around Washington DC or off-roading, you can feel confident your VW is receiving the ideal balance of torque. Test Drive a VW AWD Model at Alexandria Volkswagen! 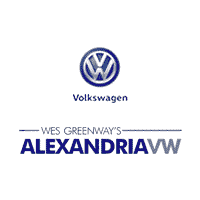 Explore models like the VW Golf AWD or VW Tiguan AWD at Alexandria Volkswagen in Alexandria! Contact us to schedule a test drive near Springfield and to learn more about our new vehicle specials.